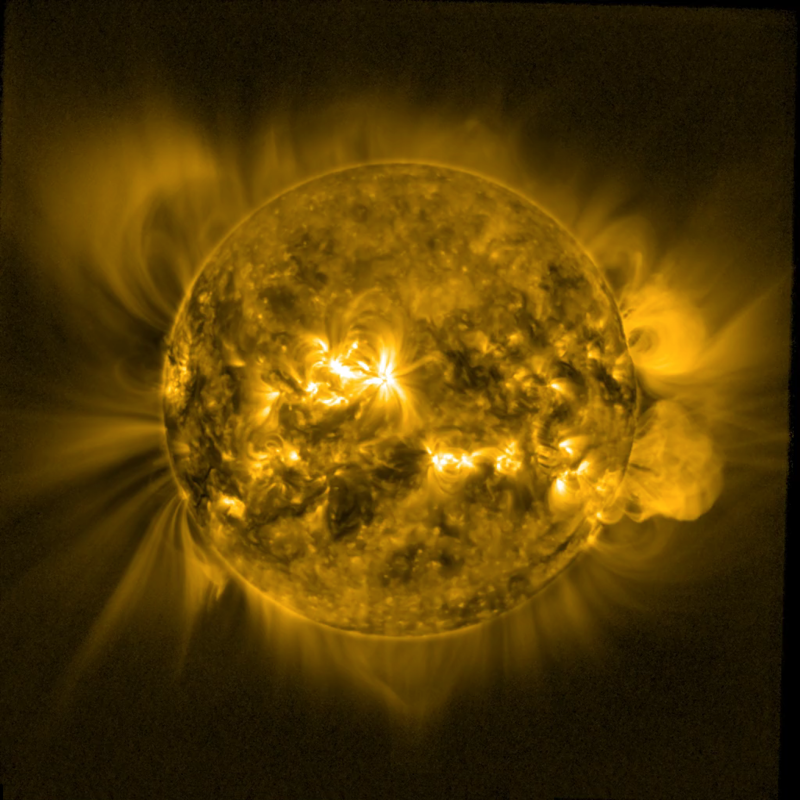 The 2012 Venus transit of the Sun was only visible for a short period in Belgium however it was recorded from beginning to end by a Belgian instrument onboard the satellite PROBA2. On June 6th 2012, a Venus transit of the Sun took place. 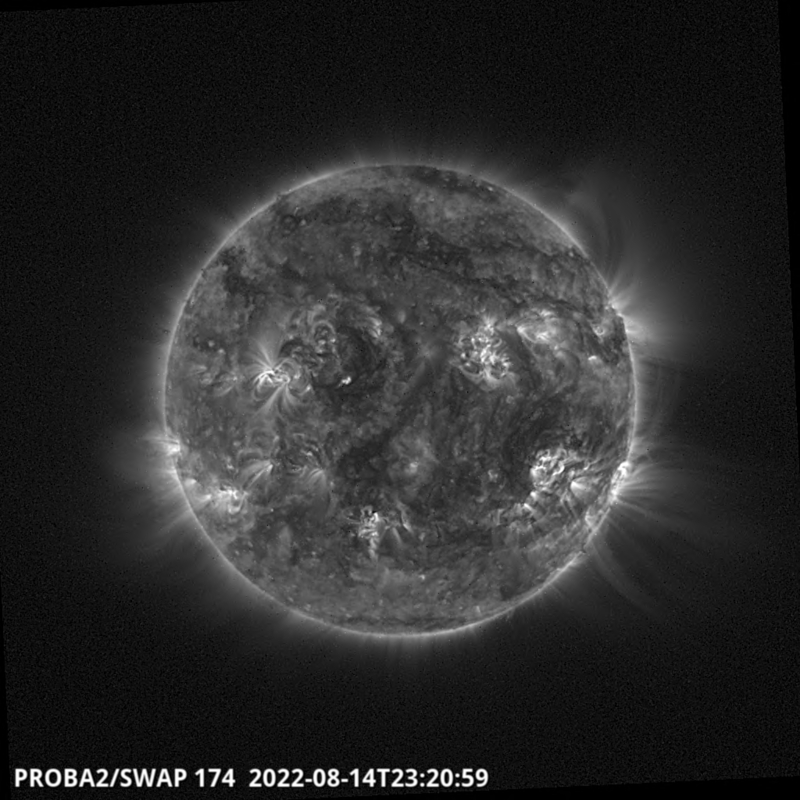 It was visible as a black circle crossing the solar disk. From Belgium, we could only see the transit for a short period, as it was nighttime in Belgium for the majority of the transit, and it was only visible very early this morning. 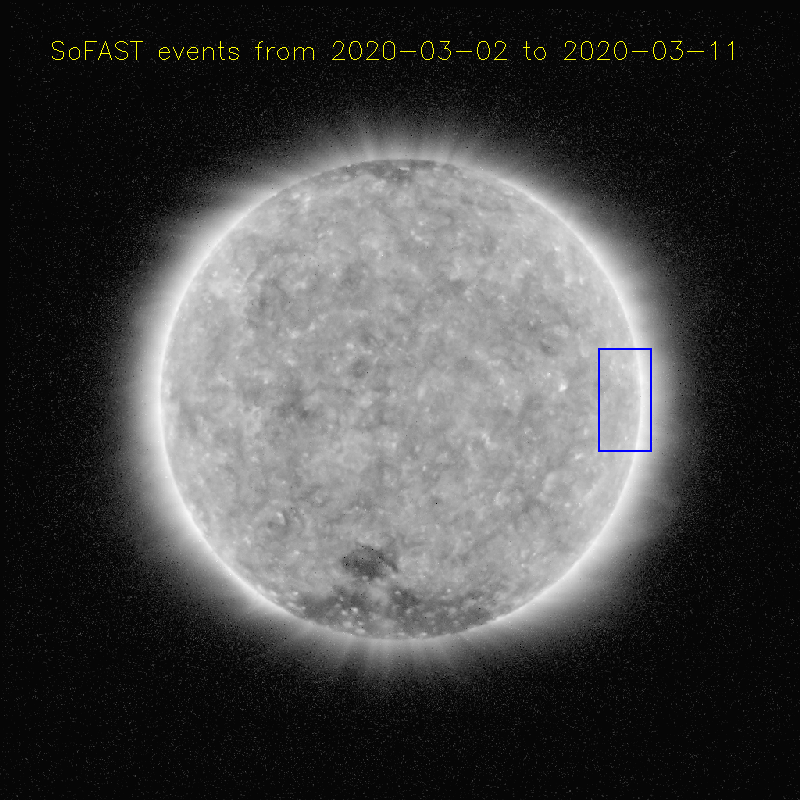 However, the ESA satellite PROBA2 observed the transit from the beginning to the very end from a front row seat in orbit! 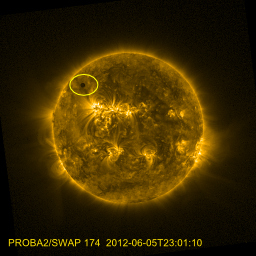 The event was recorded by SWAP, a Belgian EUV telescope onboard PROBA2 which filmed this rare event. We will have to wait until 2117 for the Earth, Sun and Venus to line up again. So, the next Venus transit will take place in 105 years! Last night, at 0:03 Belgian time, Venus seemed to touch the Sun before starting its transit. At 5:31 Belgian time, the Sun started to rise in Ukkel. It took a little bit longer before the Sun was high enough above the horizon to spot Venus. At 06:56 Belgian time, the black disk of Venus disappeared from sight. 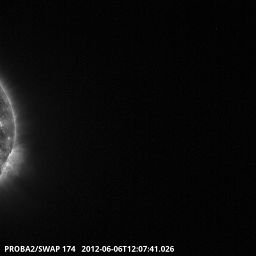 But, the micro-satellite PROBA2 orbiting the Earth at a height of 700 km, could observe the Venus transit completely. The hours of first and last contact differ however a little: from the point of view of PROBA2, Venus commenced its transit of the Sun on June 6th at 00:17 Belgian time and finished by 6:50 Belgian time. Does Venus move up and down – or not? 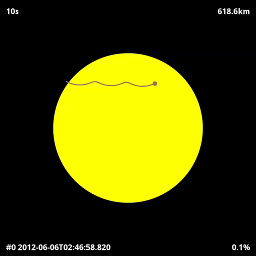 In simulations as well as in the SWAP EUV movie, Venus seems to move up and down on the solar disk. This can be explained by PROBA2’s orbit around the Earth from the North Pole to the South Pole and back to the North Pole. The satellite thus observes the Sun sometimes from ‘above’ and sometimes from ‘below’ the Earth. This creates the illusion that Venus moves up and down in the images, but in fact it is PROBA2 that is moving up and down. The Venus transit was an opportunity for the scientists of the Royal Observatory of Belgium to check out their telescopes and calculations. Since Venus ‘touched’ the Sun exactly at the predicted time, they obtained re-assurance that PROBA2’s orbit is accurately known. The contrast of the images is limited by stray light in the telescope. Ideally Venus should block all the sunlight and should have appeared completely black. By measuring the amount of (undesired) light in the ‘Venus spot’, we learned a lot about the stray-light in the SWAP optical system. 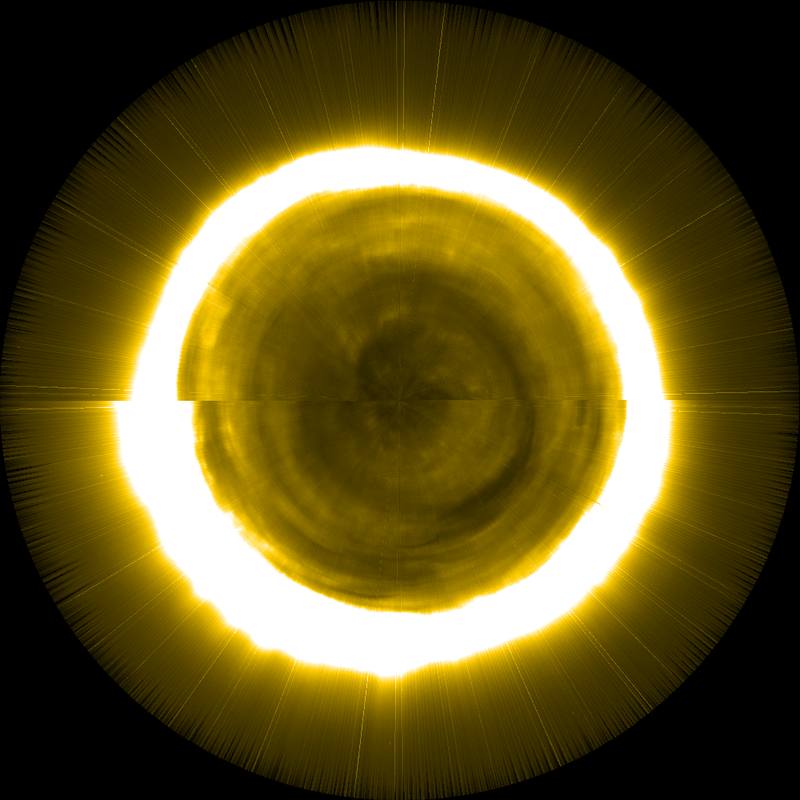 When the transit was finished, SWAP followed Venus by pointing away from the solar disc and taking pictures of the upper solar atmosphere – also known as the solar corona - (This is not shown in the movie). Due to the low brightness of the corona in the background, Venus gradually ‘faded away’.